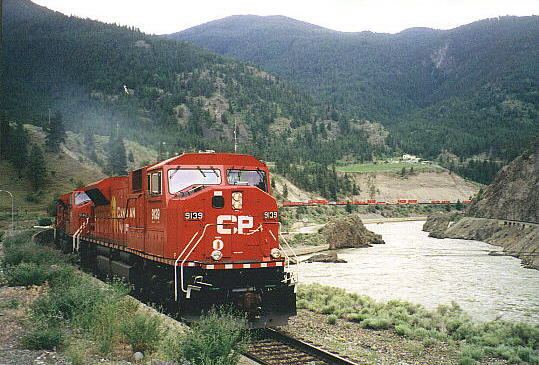 Beyond Golden the line makes its way across British Columbia to Vancouver, paralleling the Canadian National Railway on opposite banks of the Thompson River. 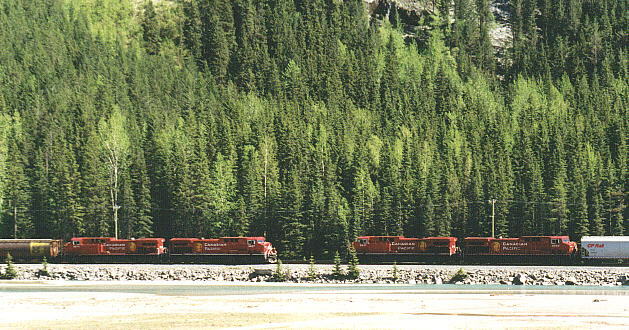 #9139 and #9142 head an east-bound freight up towards Kamloops on June 13th 1999; the CNR track can be seen clinging to the cliff on the other bank of the river. 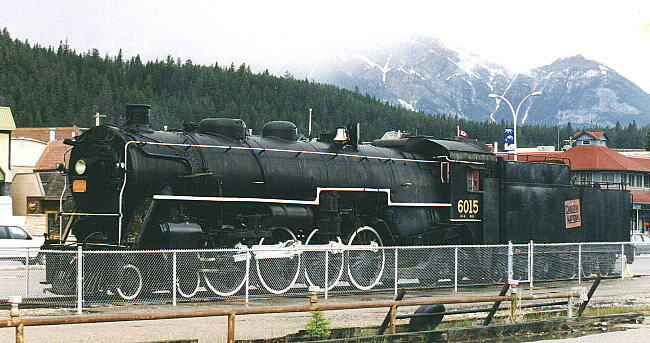 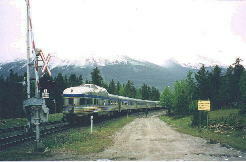 Jasper is an important staging point on the CNR routes from Edmonton and the east to Vancouver and Prince Rupert on the Pacific coast. 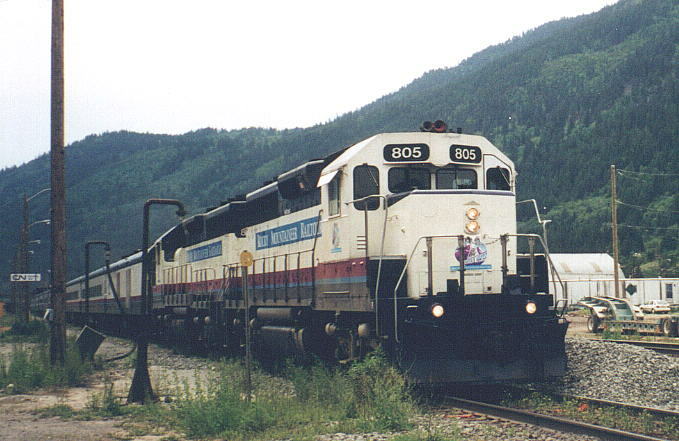 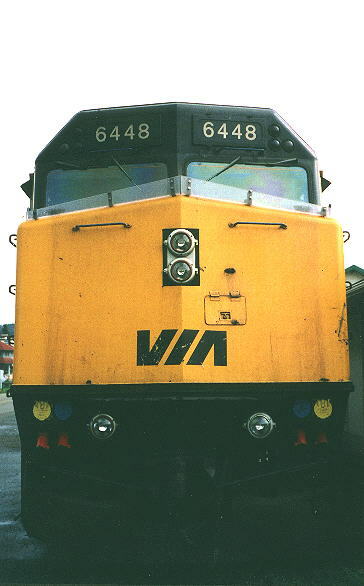 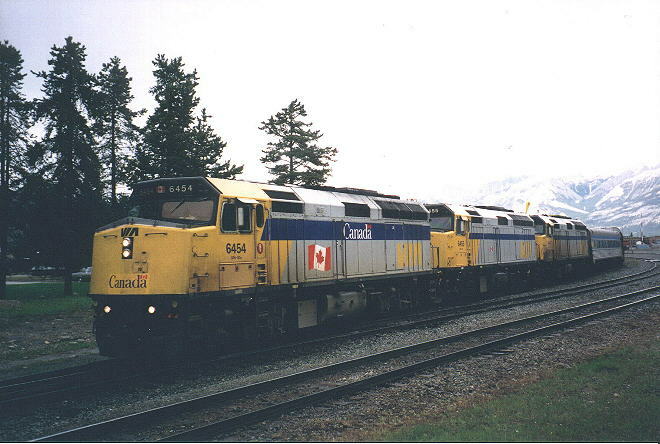 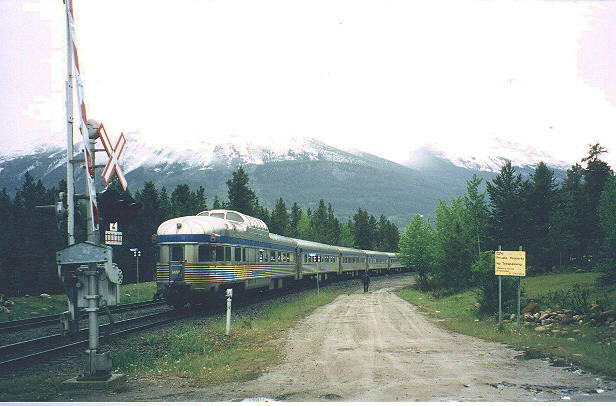 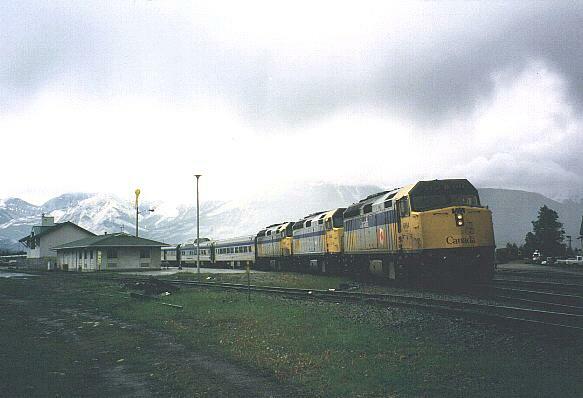 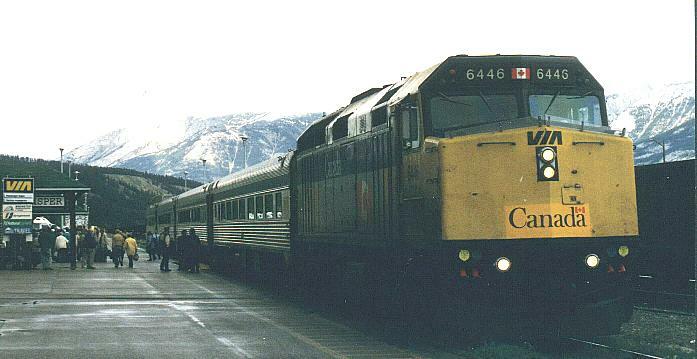 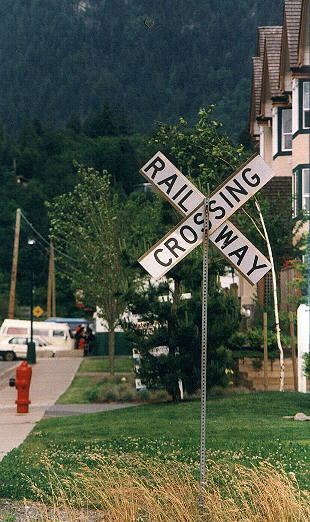 As well as freight services it also hosts the VIA Rail passenger routes from Toronto to Vancouver and from Jasper to Prince Rupert as well as providing one to the termini for the Rocky Mountaineer. 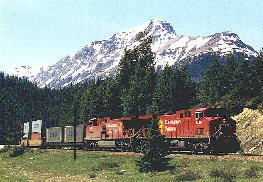 All of these services are captured here in the Jasper area. 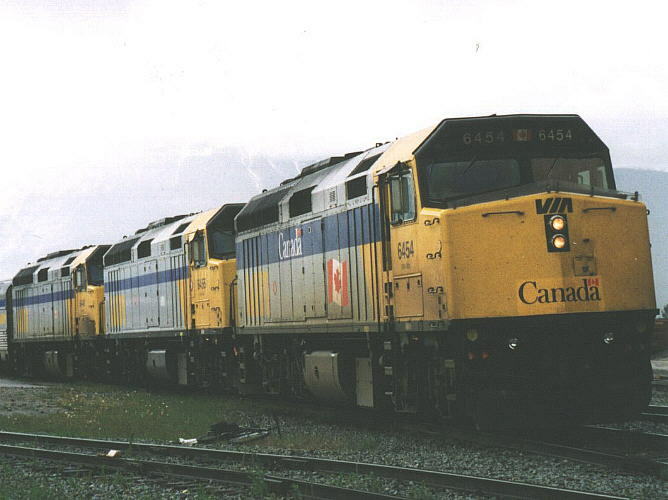 VIA Rail run a thrice weekly service, The Canadian, between Toronto and Vancouver. 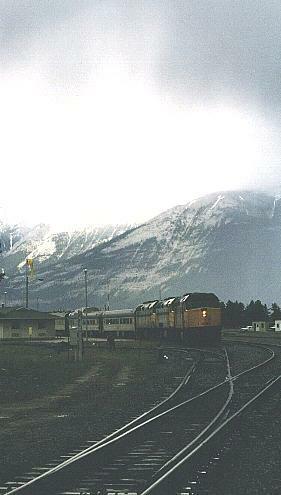 In this sequence of photographs, the triple-headed train leaves Jasper west-bound under a stormy sky at 16.25 on June 10th. 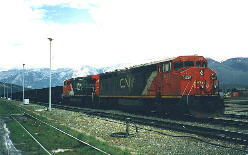 It is due to arrive in Vancouver at 08.55 the following morning after a journey of 4,424 kilometres – the train left Toronto at 11.00, two days earlier. 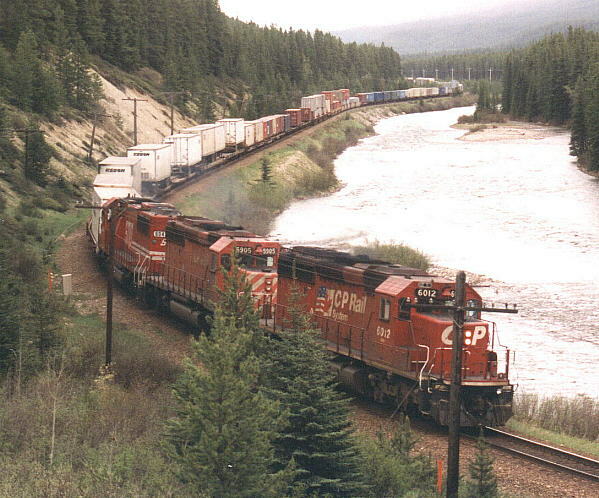 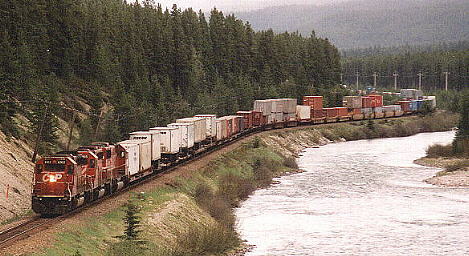 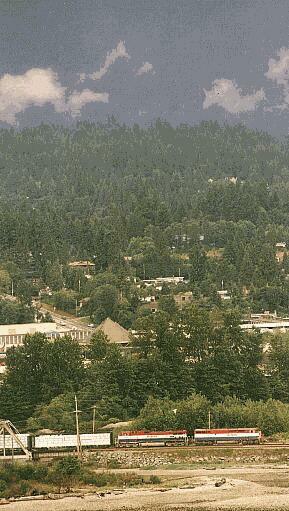 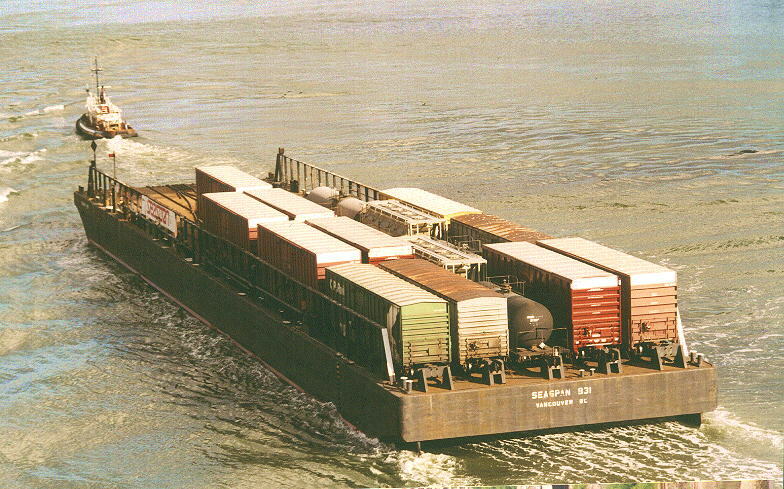 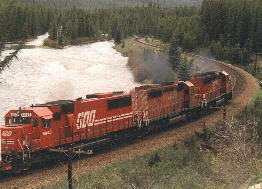 The main traffic through Jasper is freight. 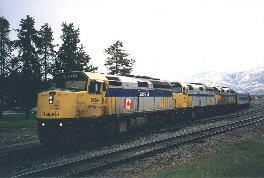 Dash 8-40CM #2436 and Dash 9-44CWL #2533 pause with a west-bound freight in the yard. 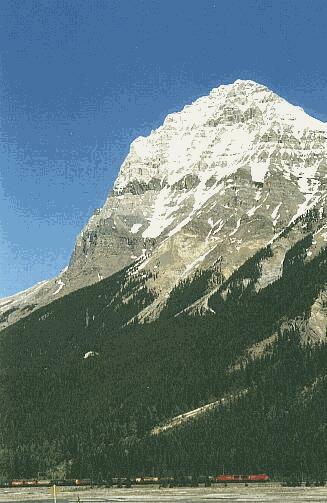 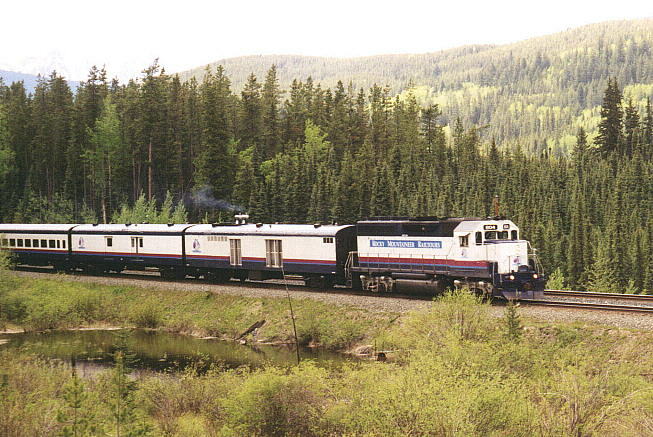 The Rocky Mountaineer provides a tourist train service between Vancouver and Jaspar/Calgary, the train splitting in two after an overnight stop at Kamloops. 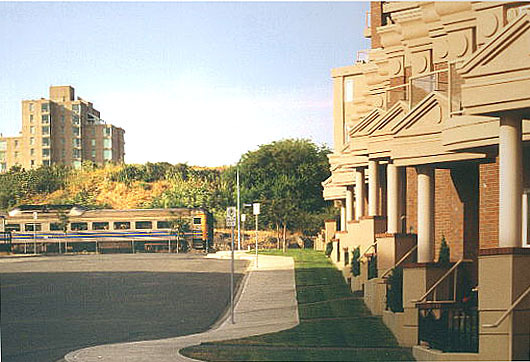 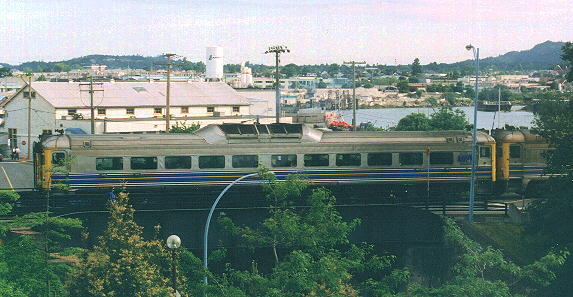 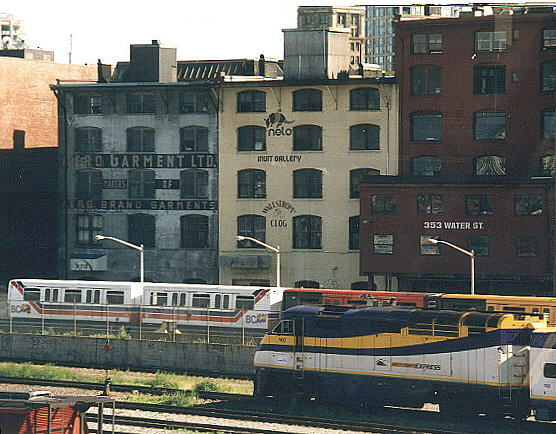 The West Coast Express provides a premium commuter service between Mission and downtown Vancouver. 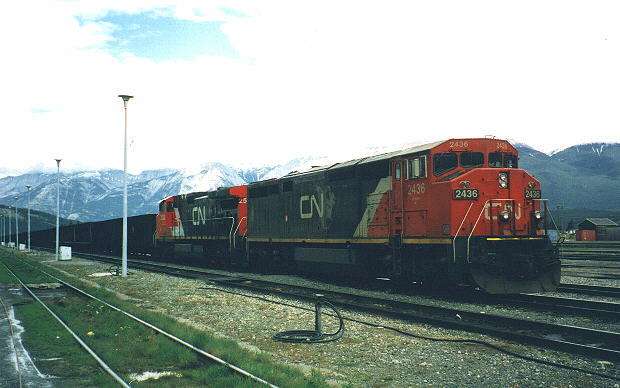 Most of the information I’ve gleaned regarding locomotive types has come from the following site which I strongly recommend for Canadian Railway information - TrainsCan. 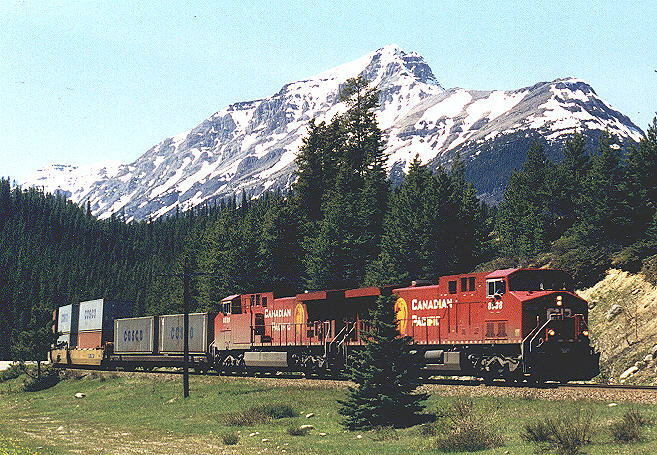 If I’ve got it wrong, I apologise – I’ll have to return to Canada and try again!